This year’s results were tabulated based on 50,000 customer surveys spanning four key markets: China, Germany, the United Kingdom and the United States. Each nation received its own targeted run-down of the most relevant brands. Branding has become an almost mystical concept. Companies know brands are immensely valuable, but have only a slippery grasp on how they work. This is quite understandable, since the toolbox for measuring brand success has historically been limited to criteria such as sales numbers, brand recognition and brand image, which, while crucial, do not tell the whole story. Indeed, in today’s digital world, brand relevance is arguably more salient than brand recognition. In the past, it might have been sufficient to implant a brand name in the buyer’s mind so that they chose your product over competitors when browsing a supermarket shelf. Brand loyalty has an altogether different meaning in the new digital ecosystem. A successful brand today is one that springs spontaneously to customers’ lips as they order their weekly groceries through Alexa, Amazon’s digital assistant, or to their fingers when googling for information prior to a big purchase. This is where the branding rubber meets the road in the 21st century. In other words, relevant brands not only have a competitive edge, but are also uniquely embedded in customers’ lives (and hearts). 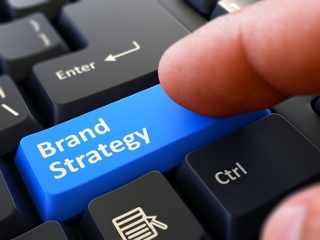 Brand recognition can always be bought with a large enough marketing budget; brand relevance cannot – it occurs organically when customer-centricity is brought to the forefront of branding strategy. To gauge brand relevance, then, we must go directly to the customer. That is the idea behind the annual Brand Relevance Index (BRI), recently released for 2018. The BRI ranks hundreds of the world’s biggest brands according to how meaningful they are to real consumers. But how to measure brand relevance? Through qualitative research, a list of 50 attributes describing how consumers perceive relevant brands was generated. There is a striking correlation between relentless relevance and stellar financial performance. Over the last ten years, the top brands in the BRI saw their revenue growth increase nearly three times faster than the S&P 500 average, and their profit growth rise 205 times more rapidly. Still, sceptics might say that’s not entirely surprising, since the BRI winners include digital-economy juggernauts such as Apple (ranked #1 in three of four countries), Google and Amazon. A key limitation of the index is apparent right away: Instead of asking consumers what brands were most relevant to them, and being open to any answer, the BRI presented a curated selection of high-profile candidates. In the U.S., for example, 299 brands representing a few dozen categories were included. But within the BRI’s slate of contenders, there are some surprising high performers. LEGO appears in the top ten in the U.K. and Germany, and at #11 in the U.S.
We conjecture that LEGO earnt itself a special place in consumers’ hearts through a balance of innovation (bridging the world of digital and physical play) and reliability (never straying from its core offering of toy bricks). LEGO also excels at customer engagement, with venues ranging from community-led forums where users can submit ideas for new products to kid-safe social networking apps. Zeroing in on the U.K., cosmetics brand Lush comes in at #16, alongside international icons such as Nike, Disney and Uber (and three places above direct competitor Benefit). The linchpin of Lush’s relevance, we surmise, is its strong sense of purpose. The brand proudly and prominently takes up social causes such as animal welfare, environmental protection and human rights. In the U.S., Band-Aid earns an unexpectedly high placement (#24) and outranks every other brand on one prompt in particular – “I trust”. We tend to automatically associate relevance with cutting-edge technology, but a humble, dependable box of bandages in the medicine cabinet can be just as meaningful for consumers. It is also instructive to compare the BRI results with the well-established Best Global Brands ranking, which is geared towards brand value. We see a slate of brands that are among the most relevant to consumers, but don’t make waves within the brand value index – e.g. Pinterest, Netflix and Spotify. These are relatively young digital players with legions of loyal users, but a precarious profit position. At the same time, some high-value brands, e.g. Mercedes-Benz and Coca-Cola, don’t make the BRI’s top 50 – suggesting that these brands are seen as a step or two behind the times. We are not arguing that brands should be solely judged by either their value or their relevance. Brands will need to win at both to thrive in the challenging times ahead. For brands that rank highly only on one aspect, collaboration between opposites may be a simple solution. Relevant brands without the financial fundamentals would thereby gain investor credibility, and venerable brands would reinvigorate their consumer relationships. Looking at both indices makes it undeniable that Apple is the global brand to beat. The house that Jobs built holds the top spot on both the BRI and Best Global Brands, exemplifying what marketers have long ascribed only to the greatest brands: the ability to inspire, empower and ultimately to change the meaning of consumers’ lives. *Joerg Niessing is an Affiliate Professor of Marketing at INSEAD & Tosson El Noshokaty is a partner and EMEA Regional Lead at the global brand and marketing consultancy Prophet.